Anyone who’s followed NICOclub and our coverage of the auto industry (Nissan in particular) knows that for the past 15 years, we’ve had a love/hate relationship with our favorite brand. You also know we’re fiercely independent and brutally honest, sometimes to our detriment. Lastly, you know we despise clickbait-style misinformation and sensationalized stories. Our loyalties lie with you, the reader, the enthusiast, the consumer. It’s well-known that the 370Z is, to put it simply, long in the tooth. Those who follow the TopGear chaps know that Clarkson brutally panned the Z34 soon after its introduction. I drove a preproduction test mule before it was released for sale, and while it was certainly a kick in the pants, that was in 2007. Ten years is more like twenty in car years, and considering the pace of technology, styling, and safety, a new Z is clearly long overdue. 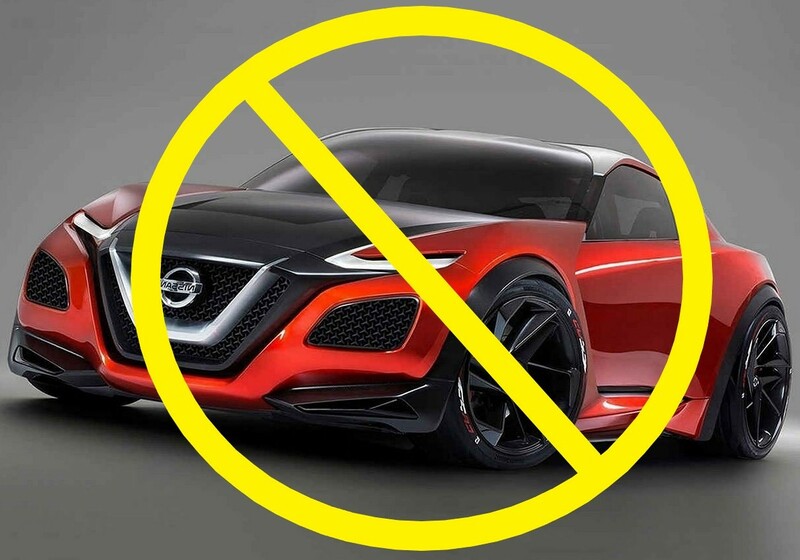 According to our sources within Nissan, there’s a small problem: It’s not happening. Despite all the hype you’ve read and the plethora of renderings you’ve seen, it’s a nope. (Speaking of renderings, we’ll include several of them throughout this article for visual interest.) Here’s some history, and then we’ll try to talk you down off the ledge. The next generation Z (Project Z35) was initiated in late 2011, early 2012. That’s pretty common, and certainly believable. Their initial goal? To have a full-scale redesign ready for production for the 2016 model year. News flash: 2016 came and went, with setbacks and internal changes bumping the target date out at least twice. In early 2017, a final design was fully approved by the design side of the company. The plan, on paper, was admirable: VR30DDTT powerplant (with hybrid capability to follow in subsequent model years), rear-wheel drive, and a front fascia that echoes Nissan’s current visage. All in all, a competitive package, even considering the best from domestic and European automakers. 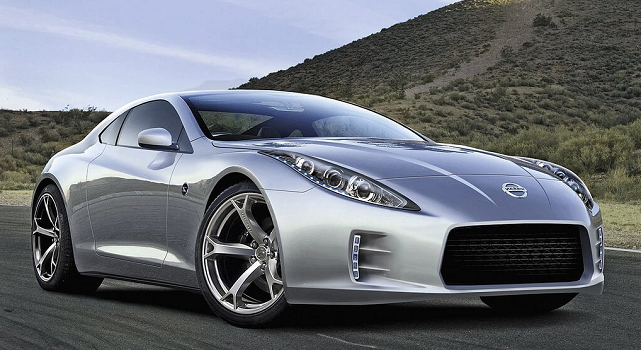 This redesign was decidedly more upscale than the Z33/Z34, but hey, we’ve seen that before. Z enthusiasts will remember the S130 became a luxury barge on the heels of the S30. The Z31 initially trimmed down and then outgrew its platform. The Z32, over six years, became chock-full of creature comforts that sapped performance and increased weight. This isn’t a new formula, and Z enthusiasts will recognize it like Groundhog Day. But something interesting happened on the project’s way through headquarters. Immediately after presentation to the top brass at Corporate, Nissan upper management thoroughly canceled the entire program wholesale as soon as it was presented to the financial department. 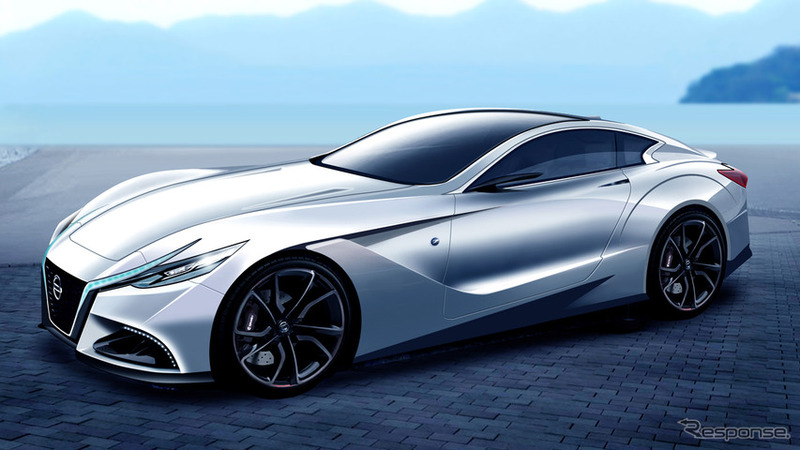 One can imagine the disappointment of Alfonso Albaisa, Senior Vice President for Global Design for Nissan. At that point, he had a choice to make (or perhaps the choice was made FOR him): Openly and honestly explain the business case for terminating the Z35 project (despite years of effort), OR continue to spin the truth and attempt to maintain some modicum of media interest (and enthusiast expectations) for a Z35 that he knows full well is not currently forthcoming. Clearly, he chose the latter. What remains to be seen is whether this was done to buoy internal and stakeholder morale, keeping waiting buyers interested, or simply to save face and ‘fall on the sword’ to avoid angering the powers that be. But what do we make of the plethora of “breaking” news we see every week in the social media universe? Certainly, we can all point a finger at silly sites like CarScoop, TopSpeed, Motor1 (do I need to call ALL of them out? ), and all the other purveyors of clickbait garbage disguised as legit journalism to an unwitting horde… But truthfully, in their defense, what are they to do? They’re trying to make a buck, and trying to keep a disinterested populace excited about the possibility of a Z redux. What do people do when there’s no information? They do the best they can with limited information (and intellect), based on projections, past updates, and available technology and trends. Hell, even Motor Trend and Car and Driver got caught up [badly] in the rush to speculation. To put it more simply, they make stuff up. Speculating based on lip service from Albaisa (or some generic hired representative at auto shows), certainly stokes the fires and keeps hopes afloat. 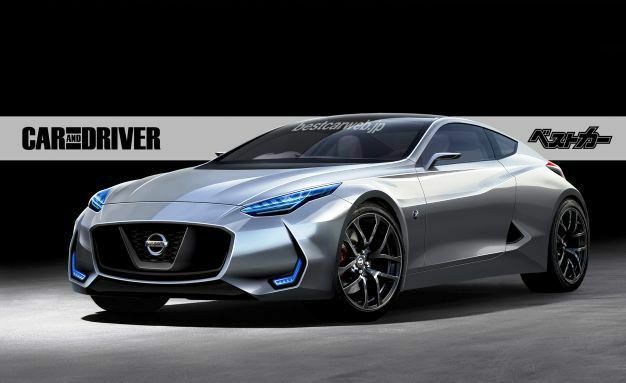 Renderings and engine choices create buzz – You’ve seen it yourself: “New Mid-Engine Nissan 400Z has 525hp, AWD and Hybrid Capabilities!” The clicks and comments roll in, and revenue is generated… Genius! The problem is, they’ve got nothing. Because there is nothing. Period. You’re totally wrong, “TopSpeed,” it’s not coming (at least anytime soon). 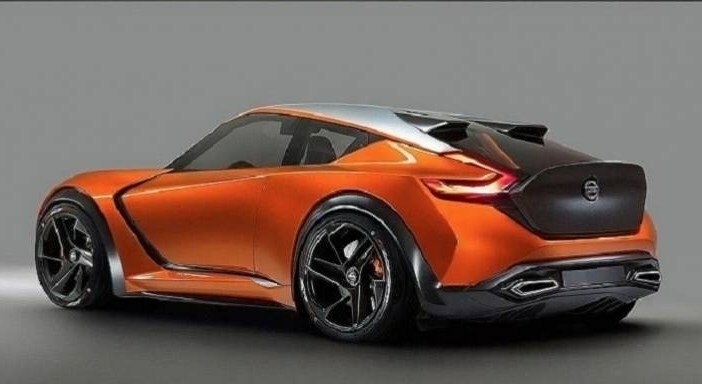 In fact, there’s no new GT-R coming, either, at least not until well after a facelifted 2021 model debuts. Sorry, fanboys – You were warned: We’re independent and honest, and the fact is, Nissan has decided to retain the current Z design until 2021 and release a refreshed (facelifted) Z35, along with a facelifted R35, around that time. If you’re still with me, let’s talk about what type of corporate culture allows things like this to happen. After all, Dodge gets the green light to release a loss-leading 10-second street car that comes with a suitcase full of legitimate track day accoutrements. Ford can produce a world-class supercar in the GT40… likewise, Chevrolet continues to churn out Corvettes, arguably the absolute most bang for the buck in total overall performance. 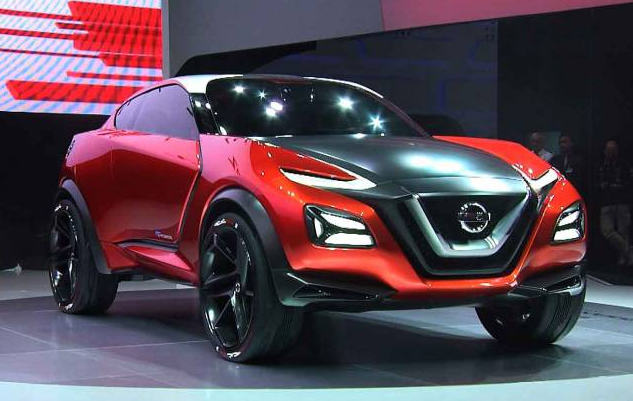 Yet Nissan can’t seem to keep from stepping in its own excrement. How does that happen? You’ll recall, we had the pleasure of having Nissan’s then Executive Vice President Andy Palmer join us here in the forums several years back. He took questions, deflected criticism, and attempted to educate the readership on the difficulties inherent in bringing a new platform to market, especially a loss leader (which most performance cars, or ‘halo cars’ are). The outcome? He was frustrated, presumably because of his inability to speak more frankly. Readers were frustrated, because every other manufacturer builds something that get enthusiasts excited about the brand. Both sides plugged their ears, neither wanting to accept the clear and present reality of the others’ position, and soon thereafter, Palmer was heading up Aston-Martin. Despite our brutal lashing of him, at least he engaged with the community, and we wish him well. We here at NICOclub have spent FIFTEEN years scrutinizing every decision made at Nissan. We have a staff of 28 die-hard enthusiasts, who collectively have owned over 200 Nissan vehicles, and some of whom even work FOR the company and its suppliers. We’re the Internet’s trusted authority on repairs, upgrades, and trends, but we’re also intimately familiar with the flaws and drawbacks of the company’s offerings. A bottleneck exists, no question – especially when the competition is doing it better and faster. Whether this has to do with the remaining strong Japanese influence at the top (which is distinctly separated into two camps: very traditional and very avant garde), OR a bloated middle management structure that impinges innovation and execution, OR some internal contentiousness concerning the overall vision for Nissan / Infiniti that results in the terrible lag in execution… we can’t say for sure. Case in point: Nissan can’t turn a new Frontier around, despite the fact that demand is continually growing – and we’re watching the competition respond accordingly (Hello, Colorado, Canyon and Ranger). It took Nissan fourteen years to turn a new Armada around (and we got a reheated Patrol). It took them the same time to release a new Titan (and it’s fair to say that the jury is still deliberating on how the Titan XD will be judged by history). The Altima finally got revised after six long years (which in this day and age is average, but it’s their #2 top selling model, and it’s got some stiff competition). Half the current lineup was OLD before a replacement was turned around. To a shareholder, that should be a hugely concerning trend for long term growth in a space where technology is rapidly advancing and safety standards are becoming ever more stringent. The only possible saving grace here is that market trends are showing buyers keeping their cars longer… Perhaps Nissan is very aware of this and exploiting it fully, but I don’t get paid to provide excuses. What we can say is that this trend will eventually catch up to them. A company can’t sell five different versions of the same CVT-saddled toaster and expect to be seen as “Innovation and Excitement for Everyone.” Toasters? What toasters? Do you not see me pointing directly at the Rogue, Rogue Sport, Rogue Select, Rogue Hybrid, Juke, Kicks, Pathfinder and Murano? Oh, wait – There’s the non-crossover toasters: Versa, Note, Sentra, Altima… Shut up Maxima, I’m not looking at you – besides, you’ll be gone soon. Simply offering a ‘NISMO Package” on otherwise pedestrian transportation isn’t enough. Any teenager can pull a few random trim bits off their base Sentra and paint them red and achieve the same result (without the upcharge). Seriously, a Versa Note NISMO Edition? 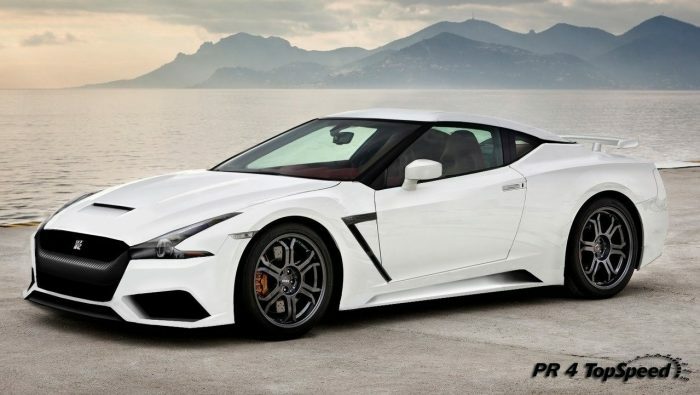 It’s an insult to Nissan’s rich racing heritage and it cheapens the NISMO name. At least Honda had the good sense to make their Type-R a legitimate performer, not just a tarted-up option package. Mr. Albaisa, if you’re reading this, and I know you will, knock it off. It’s idiotic. To be fair, let’s look at this from Nissan’s point of view. Middle management wants to make cars. Upper management has a fiduciary responsibility to ensure increased stockholder wealth over the long term. Their job is to make the company more profitable. Enthusiasts hate this fact, but… Sports cars don’t make money – in fact, they’re often a loss leader, or a car that loses money overall each time it rolls off the lot. Sports cars (and ‘halo cars’) simply do not create sufficient volume to regain the capital to develop them. That internal capital is limited and hard fought over. The cost to develop a new vehicle starts with a $B, so a company had better prioritize which ones are going to return the highest profit margins (which is exactly why we get toasters). It also takes roughly five years to complete the development process for a new platform (not a facelift), so five years passes before recognizing a profit for that investment. In that time, five years of technology has blitzed by before the car hits the market. A large car company has limited personnel and financial resources with which to bet on what kind of vehicle is going to sell five years from today. Will a company allocate those resources to a niche platform (like the Z35) that will sell maybe 10k units a year? Or do you channel your team toward developing an EV or HEV in crossover architecture that will turn into a mainstream product and sell 200k units per year? Choose wisely, because your job and professional reputation is on the line. We absolutely understand the company’s responsibility to the shareholders. The ultimate goal of any business is making money. Period. We get it. We haven’t been doing this for 15 years without learning a lot about the industry and the culture of the company. YET, we have seen time and again, poorly thought-out ventures that most definitely cost the company valuable financial and personnel resources. Let’s have a look at some: The Cross-Cabriolet (now a business textbook case study in crapping the bed), the failure of the Datsun Go (and the Micra / Sunny) to permeate the market in southeast Asia, the GT-R LM and DeltaWing motorsports fiascoes, President Ghosn getting clobbered in a Reddit Q&A, the mismarketing of the Cube and Juke, the NP300 truck failing Global NCAP crash safety testing, over $50 million squandered on the poorly-planned “Taxi of Tomorrow” experiment, Nissan’s Social Media Command Center which only succeeded in responding to social media inquiries with maddeningly bot-like cluelessness… And let’s not forget the stinkers from the Infiniti side of the house: An ill-advised, loosly-scheduled change in model designations to Q and QX, which confused even those of us who have been with the brand since its inception in 1989. The promises of a X5 / Cayenne fighter in the FX, which turned into an exercise in platform tomfoolery. 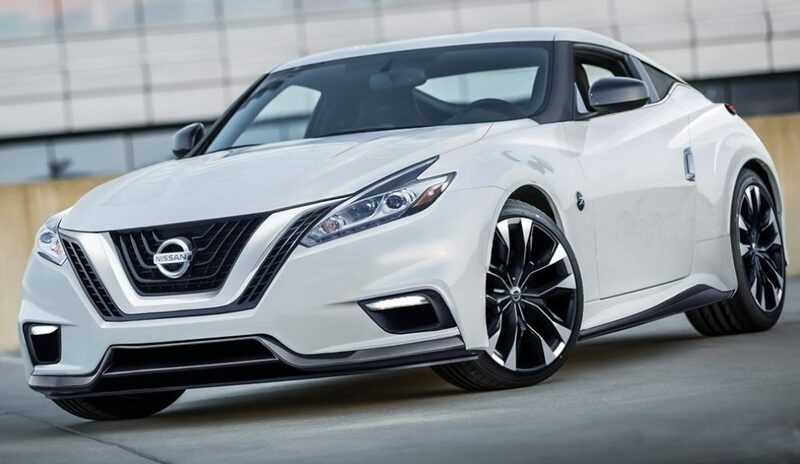 What’s the Z35 and R36 delay going to cost? That remains to be seen. Maybe we should just be happy they’re even still making a 370Z or a Frontier at all. They’re tried and true, and to a degree, they remain competitive offerings in their respective market segments when you take incentives into account. Suffice it to say, as the helmsman of this independent online ship, I’m fully expecting to be persona non grata for any future press events or unveilings. While unfortunate, I suppose it’s understandable (although after fifteen years, you’d think they’d know how we roll). I’ve championed the brand through thick and thin, and I sleep well at night knowing I’ve been honest and above-board for the duration. I won’t be caught using this platform to generate deceptive clickbait articles about what “might” be coming down the pike. I won’t allow unfounded bashing of the company where it’s unwarranted, and I absolutely believe in providing an open forum where owners can express their frustrations with premature failures (I’m looking at you, melting dashboards and failing CVTs). So, with all that said, we’re not getting a new Z car, and neither are you. Stop clicking on the spammy sites that promise a “leaked rendering” or “insider news” on the new Z. This news is unfortunate, but it’s not the end of the world – and it’s certainly not a death knell for a car company that is financially strong and has a long and storied heritage. I’d like nothing more than to have to publish a mea culpa in a year, with egg on my face. Don’t bet on it, though. As for me, I’ll still restore and show my classic Datsuns. I’ll still haul those cars with my Titan, and my wife will still daily her beloved Xterra Pro-4x. I’ll still drive our Kouki and our Pao locally. We’ll still keep an eye on the market and see where it goes. We’ll still go drive new models at the dealership and report our impressions. We’ll still answer questions, help owners, and give praise and critique where it’s deserved. We’re glad you’re still here, and we appreciate your faith in what we do.